Meijer is an American supermarket chain that pioneered the modern supercenter concept. It is a large store that combines a grocery store and a department store in one. 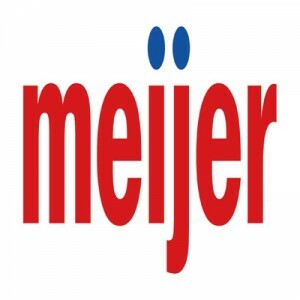 The retail giant was founded as Meijer’s in Michigan by Dutch immigrant, Hendrik Meijer, back in 1934. Hendrik entered the grocery business during the Great Depression. The company was among the first stores to offer self-service shopping and shopping carts. In 2013, they ranked no. 19 in Forbes list of Top 20 Companies. As of 2017, the company had over 200 stores in the US. Benefits provided by the company to its employees include basic life insurance, 401K retirement plan with company distributions, medical plan coverage, paid leave, team member discount, and voluntary life and accidental death and dismemberment insurance among others. The company promotes diversity and inclusivity. They also foster equity which they believe is important as it gives equal opportunities to the employees. In Meijer, there is always room for personal and professional growth. The minimum age requirement for applying as an entry-level employee is 16 years old. For team leader and managerial positions, the applicant must at least be 18 years old. As a hypermarket chain, Meijer offers a dynamic shopping experience by combining grocery stores, department stores, and even pharmacies. They offer a variety of retail and customer service jobs as well as technical, administrative and managerial positions. Deli/Bakery Clerk: The clerk is responsible for delivering satisfactory customer service. They are responsible for providing assistance by answering the customer’s questions efficiently and effectively. Other tasks include stocking and maintaining product displays that comply with merchandising standards, and ensuring the quality of products and services by following protocols on safety and sanitation. Cashier: The Cashier is responsible for basic retail tasks. Duties include providing quality service to ensure customer satisfaction, delivering efficient service during checkout, completing transactions accurately, having accountability for the cash flows, and responding to a customer’s questions efficiently and effectively. Production Team Member: A member of the production team will be working in shifts in a high-volume food production facility. They are primarily responsible for handling, preparing, mixing, and packaging sandwiches, deli salads, or bakery items. Other tasks may include end-of-day sanitary procedures. Stocking Team Member: A member of the stocking team will be working in shifts in a storage facility. Primary tasks include stocking shelves and placing stocks from the back room to the proper area using location codes on the box. Other duties include lifting 50lbs boxes and operating a forklift and pallet jack. General Warehouse Labor: A General Warehouse Laborer transports high quality, time-sensitive and temperature-controlled products from the production facility to Meijer stores efficiently and securely. Their tasks also include operating an industrial truck, accurately and promptly completing all paperwork, and working in other general labor areas whenever necessary to comply with production schedules. General Merchandise Clerk: A General Merchandise Clerk is responsible for various retail tasks related to customer service, products and merchandising. Other duties include working on all daily back stocks in the designated area, organizing the designated area in the backroom daily, and checking that all ICAPs are completed daily. Associate Buyer – Women’s: An Associate Buyer is responsible for working with the buyer in setting the strategy for the pricing and promotion of products. Key duties include regular visits to stores to understand assortments, pricing, and store presentation. Other tasks involve utilizing market information to forecast trends and future clients’ needs. Quality Technician: A Quality Technician is responsible for performing and observing quality tests and food safety processes in the facility. Other tasks include conducting routine tests on products, verifying correct product weight and label, monitoring compliance to food quality and safety protocols on the production floor, verifying correct product weight and label, and conducting quality and food safety training for all employees. Gas Station Team Member: A member of this team is responsible for executing all operations in the station which includes safety regulations and sanitation procedures. Other tasks include operating a cash register, having accountability for cash flows, monitoring the station’s sales, and taking the inventory. Courtesy Team Member: A member of this team will be working in various areas such as the entrance, service desk, checkout lane, and parking areas. Key tasks involve welcoming and assisting customers, maintaining cleanliness and safety of the entrance or floor, collecting carts, and maintaining cleanliness of the parking lot area. The application is done online through the company’s website. Browse through the job listings posted and apply for a vacant position. You must fill out the online application form completely and then submit it for review. An online application is available, but not all available positions at a preferred location appear online, in which case you must personally go to the store you wish to apply to and personally submit your application. Completely fill out your online application form and constantly check your email for their response. For in-store applications, being able to speak to the hiring manager can increase your chances of being hired. The resume is to be submitted along with the application form. Make sure that it is well-organized, and contains only relevant information such as educational background, work background, and your skill sets. For the interview, the most frequently asked questions are your earliest start date, your preferred department, and your concerns in working for them. In addition, you must exude professionalism and show enthusiasm for the job you are applying for. The company strives to instill excellence in their employees by building a culture of recognition for outstanding performances. They have a diverse and inclusive team that continuously aims for growth and innovation. As an innovator in the hypermarket scene, the company recently tested a new system for checkouts. The new system design provides customers a faster way of shopping. The company is commonly known for being the pioneer of the concept of hypermarkets or supercenters. They have since expanded to include convenience stores, gas stations, and pharmacies. They support communities by working closely with non-profit organizations, giving sponsorships to community events and donating 6% of their net profit to charity every year. 1 How old do you have to be to work at Meijer?